I don’t think we’d noted on the podcast that the CW was actively developing its fifth DC superhero series (sixth if you count iZombie) for the 2017-2018 season. After years of talking about projects that never quite came to fruition, I guess I was waiting for this moment — a picture of the actor playing Jefferson Pierce, in full Black Lightning costume. So here it is. 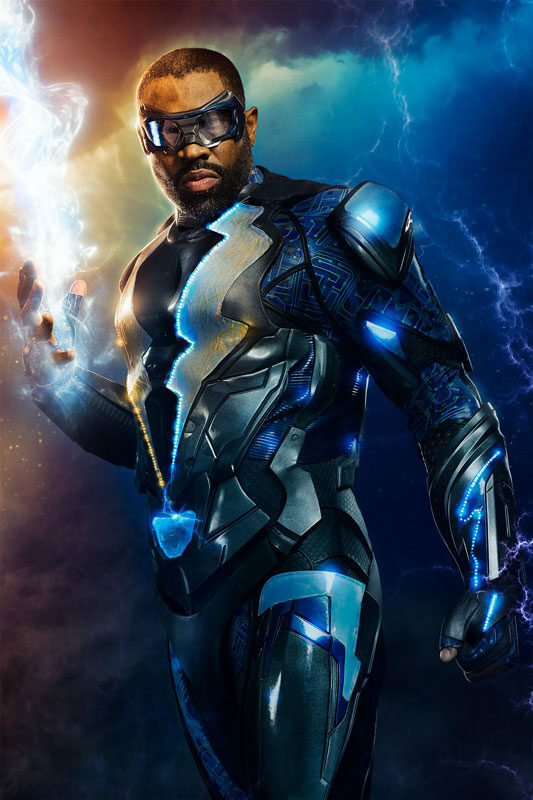 Cress Williams is in the outfit, which right out of the gate looks like a good merger of original artist Trevor von Eeden’s vision and the requirements of the CW Arrowverse. Not that we know yet that this is linked to the Arrowverse, despite the presence of Greg Berlanti.